What model is your brain? My brain is a 1950 model. To get the model take your birthdate and add 3. I was born in 1947 + 3 = 1950. Since it takes three years for a baby’s brain to become wired up, you can take your birthdate, add three years, and that’s what model is your brain. 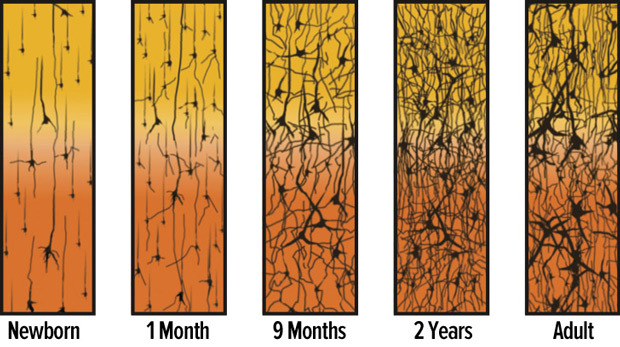 In the first three years a child’s brain has up to twice as many synapses as it will have in adulthood. But they are still being wired up. After three years we can say that is the model brain we will have for our life. A degree of brain plasticity means that we can add accessories and upgrades through training and experience, but our wired brain at 3 is the one we will have for life.